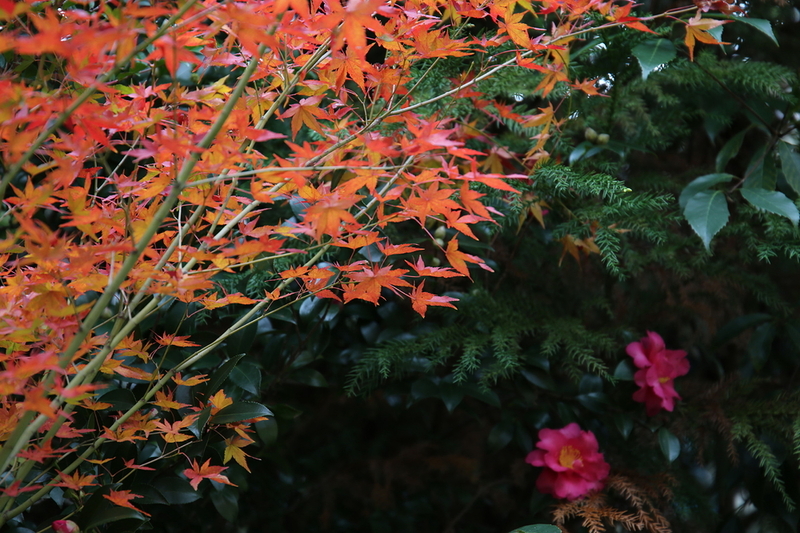 Hiro (Kyoto, Japan) on 8 December 2018 in Plant & Nature. Transition betwen the green of summer and the brown of autumn ! Retour aux couleurs qui font du bien.... Magnifique. Another fine image in this great series of Autumn. Fabulous colours and framing, excellent. A very beautiful autumn composition! I really like this color set. Lovely and soft view with great colours. Magnificent color of the tree leaves and flowers! A nicely and well framed autumn photo. Lovely colors against the dark green. @Harry: I'm glad you mentioned the two pink blossoms. That's what I want you to see, thanks ! I love the colors of the leaves. This is a beautiful autumn image. A lovely composition.